We invite scientists and legal practitioners, researching and practicing in areas connected with subject of the conference. o the competence of the ECtHR in sphere of maintenance of international peace and security and the prevention of international armed conflicts. o government policies and mechanisms for the implementation of practice of the Strasbourg Court. 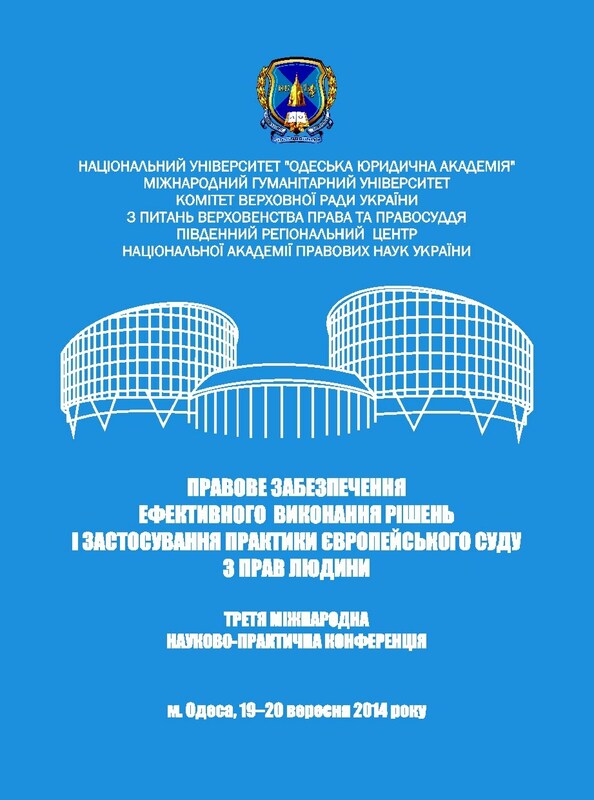 o effective mechanisms of execution of the European Court of Human Rights judgments as an effective means of elimination the structural deficiencies. o national mechanisms preventing the individual petition to the Court. Official languages: Ukrainian, Russian and English. The publication of scientific reports is planned as the result of the Conference. Proposals of the participants will be systematized in the form of final resolution of the Conference. Location: Conference Hall of National University "Odessa Law Academy", 23 Fontanskaya Doroga. The deadline for application forms: August 15, 2014.